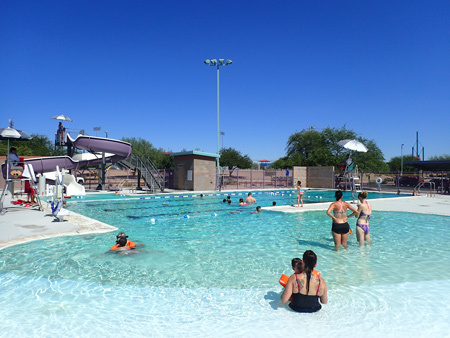 Kino Pool features 4 lap lanes, a slide, deep end, zero depth entry, and shaded benches. 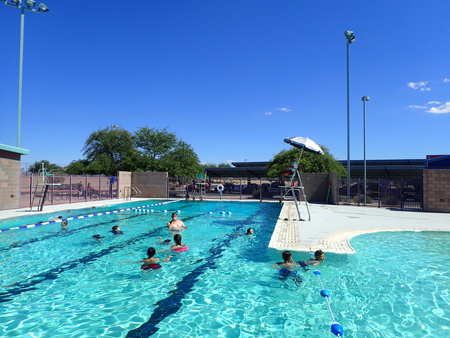 It is home to the Kino Tsunami swim team! Monday-Thursday, 8:30-9:30 a.m. or 4:45-5:45 p.m.
Monday – Thursday, 9:45-10:15 a.m., 10:30-11:00 a.m., 11:15-11:45 a.m., 12:00-12:30 p.m.